Stock quanitites on this item varies, but can be special ordered by request. Please contact us for the most accurate availability, pricing and ETA to one of our showroom locations. Carved Wooden Frame Finished In A Rubbed Taupe Wash Accented With Hand Painted Blue Details. May Be Hung Horizontal Or Vertical. 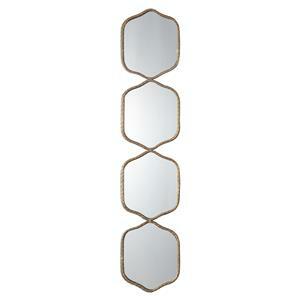 The Mirrors Rosalind Carved Wooden Frame Mirror by Uttermost at Bennett's Furniture and Mattresses in the Peterborough, Campbellford, Durham, Lindsay, Haliburton, Bancroft, and Kawartha Lakes area. Product availability may vary. Contact us for the most current availability on this product. 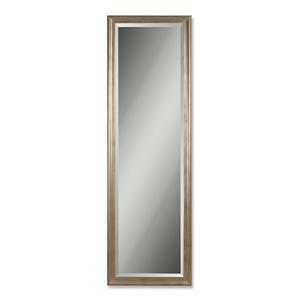 The Mirrors collection is a great option if you are looking for Accents in the Peterborough, Campbellford, Durham, Lindsay, Haliburton, Bancroft, and Kawartha Lakes area. 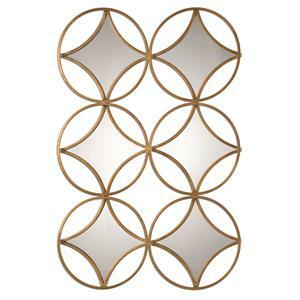 Browse other items in the Mirrors collection from Bennett's Furniture and Mattresses in the Peterborough, Campbellford, Durham, Lindsay, Haliburton, Bancroft, and Kawartha Lakes area.